Bundesliga | Ousmane Dembele: "Bundesliga is the place to be for young players"
Dortmund's Dembele: "Bundesliga is the place to be for young players"
Ousmane Dembele says the Bundesliga provides the perfect environment for young players to develop as the Borussia Dortmund star prepares to show AS Monaco the progress he has made in nine months in the Germany. Could Dembele's magic be just what your Official Fantasy Bundesliga team needs? Sign him up now! Dembele moved to Dortmund from Rennes last summer a precocious but largely unproven talent that had sparkled in bursts in Brittany. The four-game run without a Bundesliga goal or assist he is currently on is his most barren of his maiden season at BVB where his six goals and ten assists already signify a spectacular return for the 19-year-old. 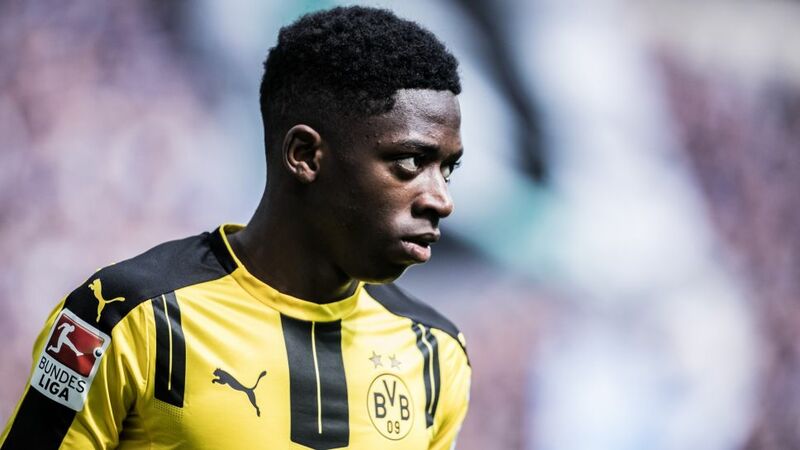 Dembele told L'Equipe that though he had some worries ahead of his Dortmund debut, he was convinced he had made the right move given the Bundesliga is a proven breeding ground for the best young talent in the game. "You ask yourself if you're going to meet the coach and the club's expectations in particular. I had a little bit of pressure, because I was coming into a new environment, but after three or four matches, that had gone. For the country, I wasn't worried at all. Germany, when you're a young player, is the best. There are lots of young talents here, and people have faith in them," said the France international, who signed a five-year deal at the Signal Iduna Park revealing Thomas Tuchel's faith had played a central role in him deciding to join Die Schwarzgelben. "I don't regret my choice at all. I feel good in Dortmund. It was a choice I thought about, that I took early last season, because I had talked to the coach very early. I had only scored two or three goals with Rennes, but he told me he wanted me. After listening to him talk, I told him I would sign for Dortmund whatever happened, that my choice was made. There was interest from other clubs after that, but I had given my word and made my choice and didn't want to come back on it." The words of Tuchel and the BVB boss' guiding hand have been a constant in Dembele's progress this season. After convincing the youngster to shun suitors from across Europe to move to the Ruhr Valley, Tuchel then gave his young charge the possibility to express his potential.